When will I receive information on the North Carolina Retirement Systems Supplemental Benefits? After you have received your first retirement benefit payment, Pierce Insurance will mail you an enrollment book that summarizes the supplemental benefits that are available to you. Pierce Insurance will also send you an email summarizing your benefits and how to enroll. Where can I find information on supplemental benefits and premiums? What benefits are available to retirees? The risk of identity theft is real. There is a new identity fraud victim every 2 seconds. Identity theft protection helps protect against damage to your finances, credit and reputation. Help protect yourself with best-in-class LifeLock identity theft protection. Our eyes are really windows to our health. An eye exam can help identify not only eye and vision issues, but systemic disease. Exam, lenses, frame and contact lens coverage included. Who is eligible to enroll in our plans? Benefit recipients including retirees and members receiving a disability retirement and their dependents (up to age 26), in the retirement systems below. As a surviving spouse, you must enroll in the plan through the normal enrollment process. Is there an association fee to participate? No, all programs are offered directly through the North Carolina Retirement Systems. What happens to my existing supplemental benefits when I retire? This depends on the type of coverage you have and who your coverage is with. You should contact your Health Benefit Representative at your worksite to learn about your options. How do I make sure I do not have a lapse in dental or vision coverage when I transition from employee to retiree? You may need to continue your current plan(s) through COBRA until your North Carolina Retirement Systems plans are effective. Your Health Benefit Representative can advise you on your options. 3 easy ways to enroll in identity theft protection, dental and vision benefits. Fill out the enrollment form online and then click submit. It is that easy! and follow the instructions on the form to submit by mail, email or fax. How are the monthly premiums collected? NOTE: Firefighters and Rescue Squad Workers, National Guard or Register of Deeds Pension Funds’ benefit recipients qualify for direct bill only. How do I update my mailing and e-mail addresses to receive open enrollment materials each fall? How do I notify Pierce Insurance when my dependents are no longer eligible? If I miss open enrollment how can I make changes to my benefits? It depends on your coverage. Call Pierce Insurance to discuss your options: 855-627-3847. 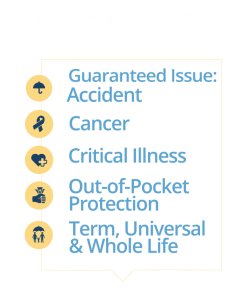 What are the “qualifying life events” for benefit recipients to change dental or vision coverage? You change your legal marital status, which includes marriage, death of spouse, divorce, legal separation, or annulment. Your dependents change due to birth, adoption, placement for adoption, or death of the dependent. You, your spouse, or your dependents terminate or commence employment. You, your spouse, or your dependents reduce or increase their hours of employment. attainment or loss of their own employer-sponsored health care coverage. and medical leave or military leave. You receive a court order to provide coverage for your children. How do I get in touch with Pierce Insurance Agency? About this website: This website describes benefits offered through the North Carolina Retirement Systems. In the event of any discrepancy between what is written here and what is in the plan document and insurance certificates, the plan document and insurance certificates will govern. Changes in tax laws or other requirements might cause changes in the plan. Copyright 2019 © Pierce Insurance. All Rights Reserved.